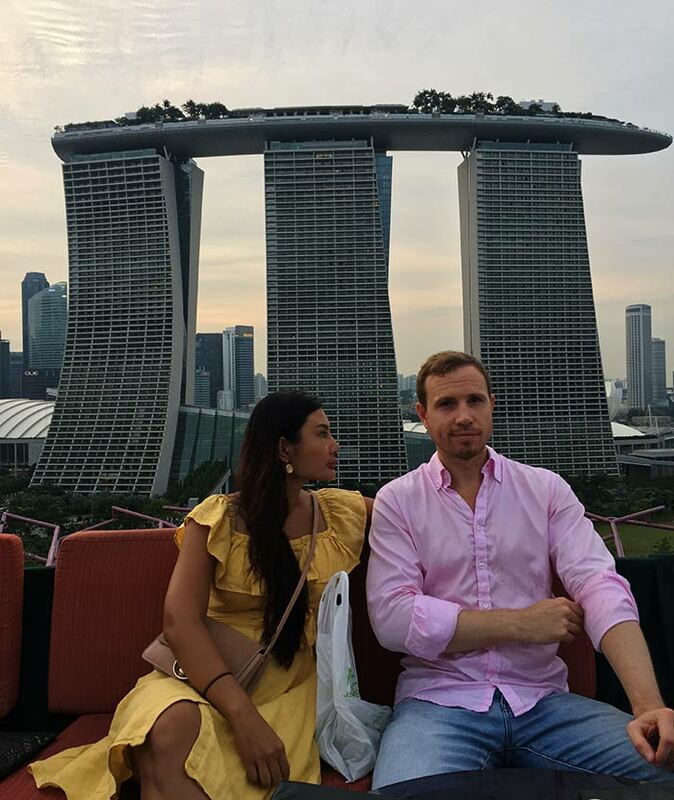 It's not every day that you find a rooftop bar up in a tree, but when in Singapore...We spent a couple of hours at SuperTree by IndoChine, enjoying cocktails and watching Marina Bay Sands and the Singapore skyline lighting up. 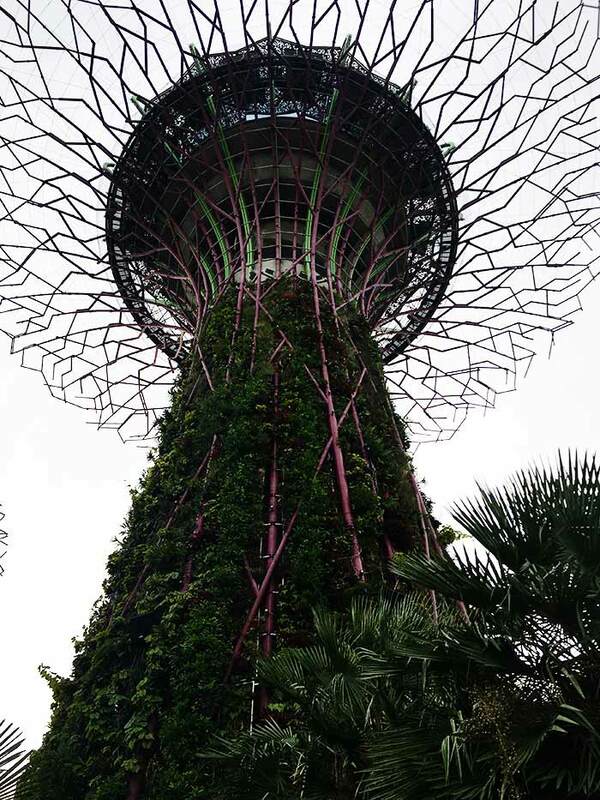 Gardens by the Bay in Singapore has become somewhat of a must visit since opening in 2012. The beautiful nature park holds a lot of things, including so called SuperTrees (between 25 to 50m in height). 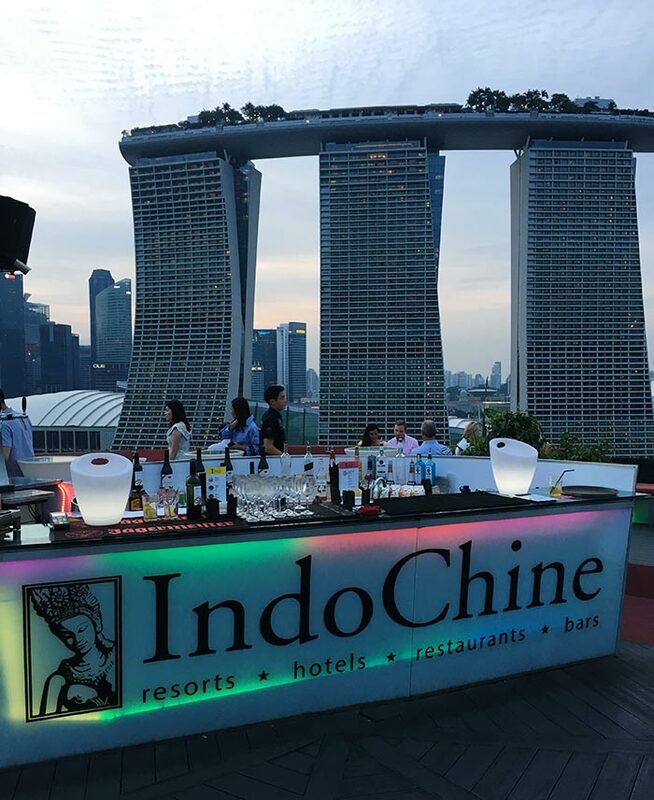 In the tallest of them you find Supertree by IndoChine rooftop bar. 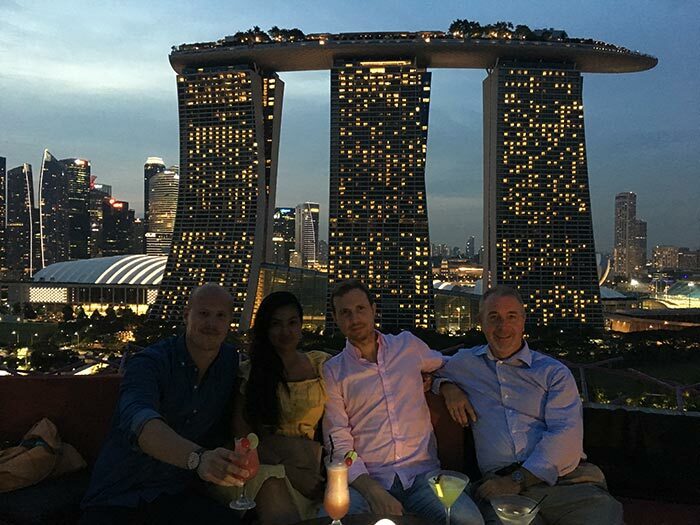 We had reservations for a table at 5.30 PM, well planned to get both the last minutes of daylight, sunset and some night time views. The entrance to SuperTree is right in the middle of the garden (SuperTree Groove) where you also find the OCBC Skyway and can see the tree light show every night. There is a fee of 20 SGD per person to get in, this includes a free glass of beer, wine or spirit. On the ground floor of the tree there is actually only a pathway leading to the elevator up to the 14th floor. The elevator felt a little bit home made, but it did the job and took us up to the rooftop. Or more precise, up to the restaurant one floor below the rooftop. 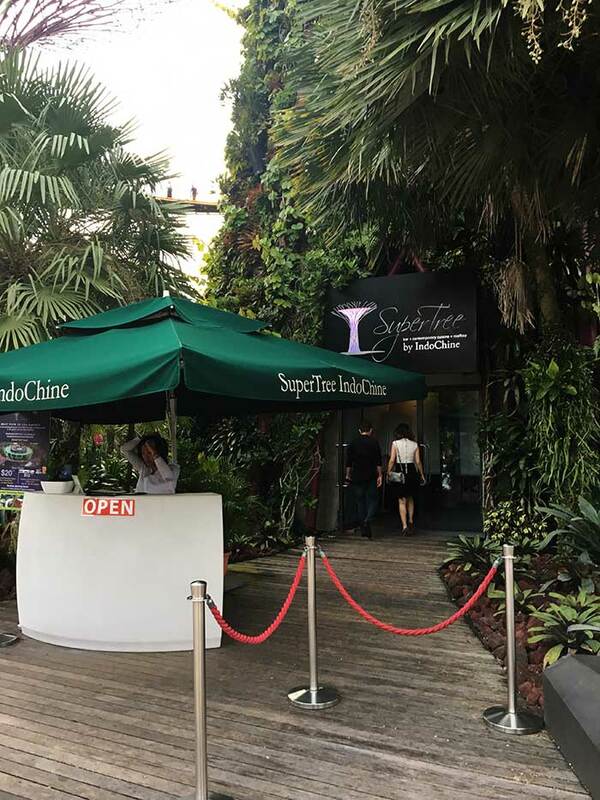 SuperTree by IndoChine is divided in two floors, one indoor, fully air-conditioned restaurant and above is the alfresco rooftop bar. We took the stairs straight up to the rooftop and got shown to what was the best table. 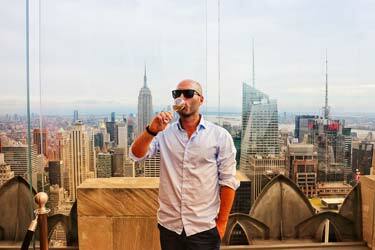 But not by a wide margin though, all tables up here has similar great views as this is a rooftop with a real 360-view. 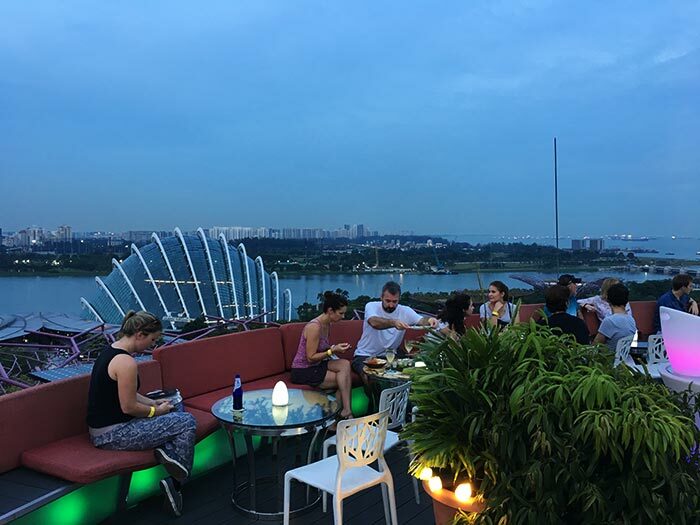 The rooftop is like a circle, with sofas all the way arround so apart from a few bar tables in the middle, all seatings here are right at the edge. Then it is more an option if you prefer a view over the garden and towards the ocean or more in towards the city. 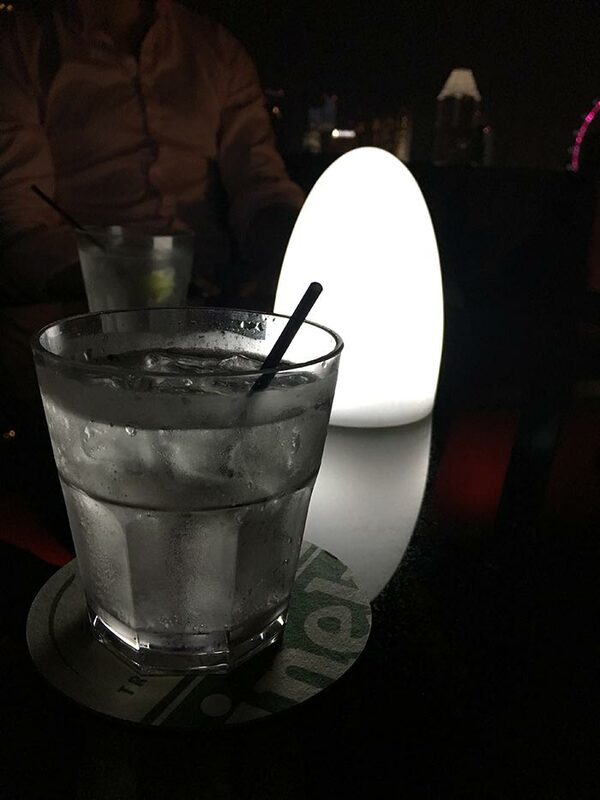 Our table was with a view straight towards the majestic Marina Bay Sands and it was really cool to see it transform from day-look and start to light up for the night-look. 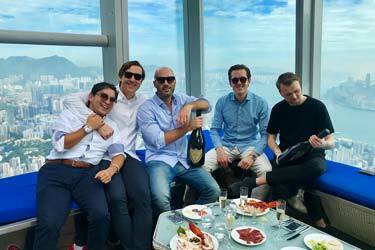 We had a look at the pretty impressive drink list and ordered some signature cocktails. 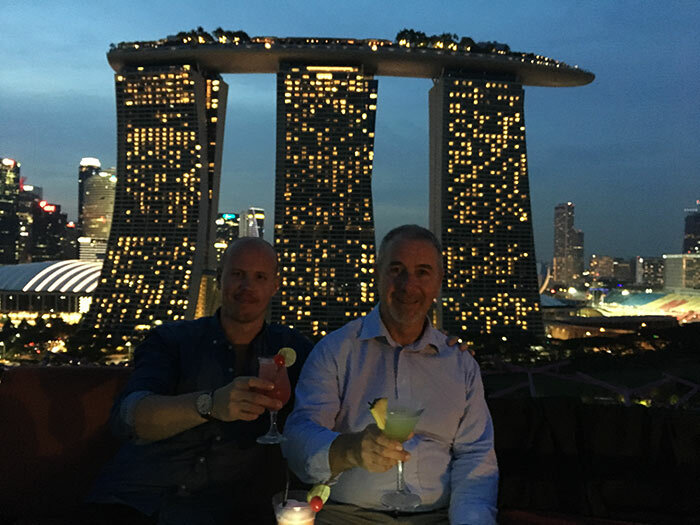 The plan was to get some great photos at sunset with the drinks, but unfortuneatly the service was a bit slow, so after waiting half an hour we had to settle for photos with drinks in the dark. The drinks where however really good, we espacially liked the Butterfly Effect made of honey vodka, apple schnaps and pinneaple juice. 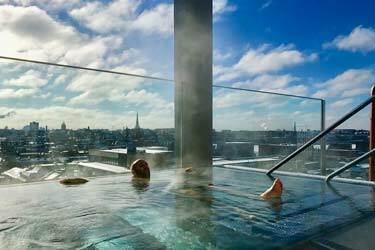 Up here you can also order smaller plates of tapas, perfect for sharing and enjoy to some drinks. For full on dinner you should propably choose the restaurnt one floor below. 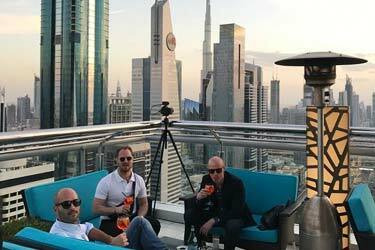 The SuperTree rooftop bar opens at 5PM, but during daytime you can also go up here just to enjoy the view. 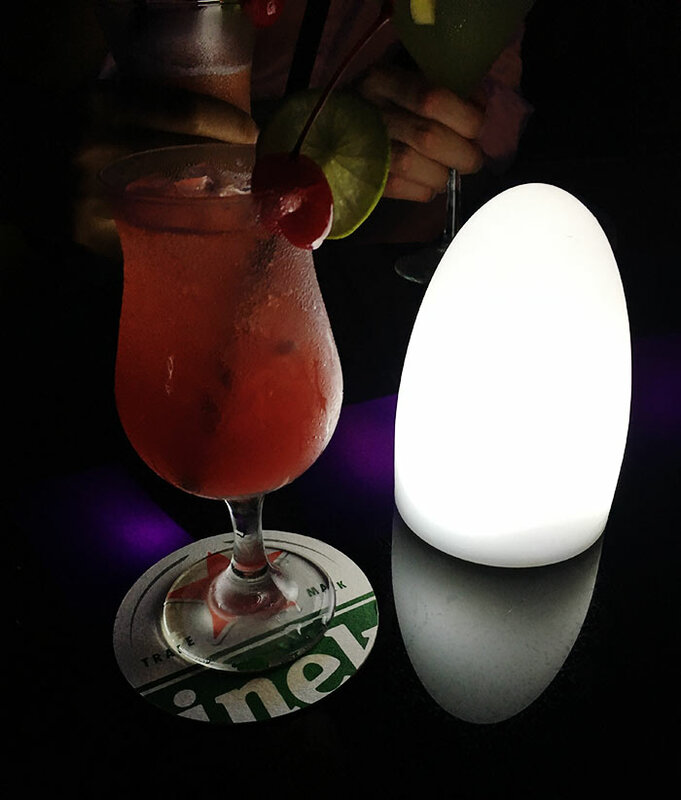 Before leaving the rooftop we also got our free drinks that were included in the entrance fee. Quite alot to choose from, we went for the classic Gin & Tonics, they were allright but ,as you would expect from inclusive drinks, nothing very special. 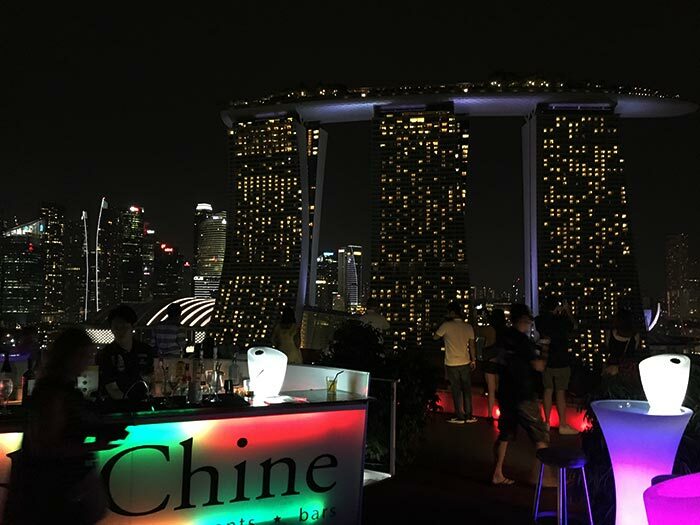 SuperTree by IndoChine is a really nice rooftop regarding views and it has a very nice and open feel, absolutely no walls in sight. 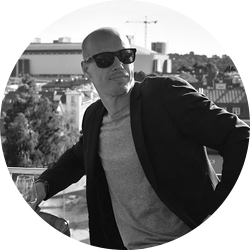 There is a good cocktail list and also very nice surroundings. 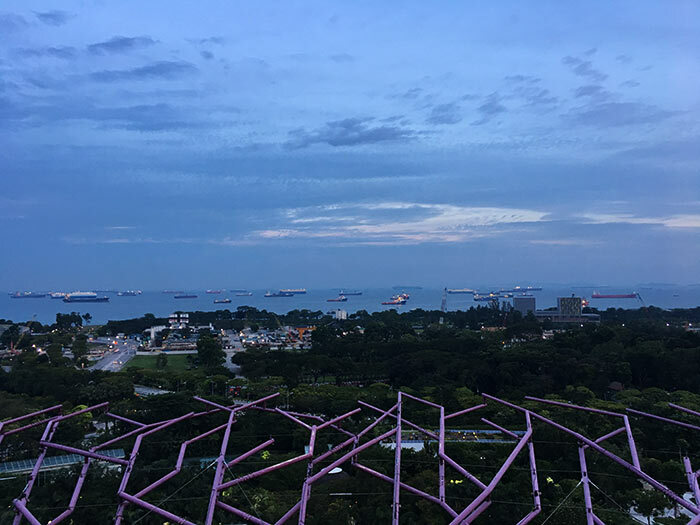 Perfect to do as we did, enjoy the Gardens by the Bay in daylight, go up here for a couple of drinks and a bite and then go down and catch the tree light show (unfortuneatly you don't see it up in the tree). On the minus side there was bit to much people coming up just to get a to get a great shot of the city and then going down again (touristic area), so missing that really relaxed feel. 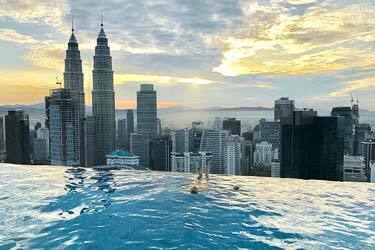 But still definitely a rooftop worth a visit if you are in the area. 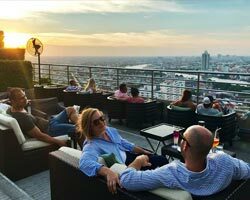 You can check out more great rooftop bars in Singapore here.